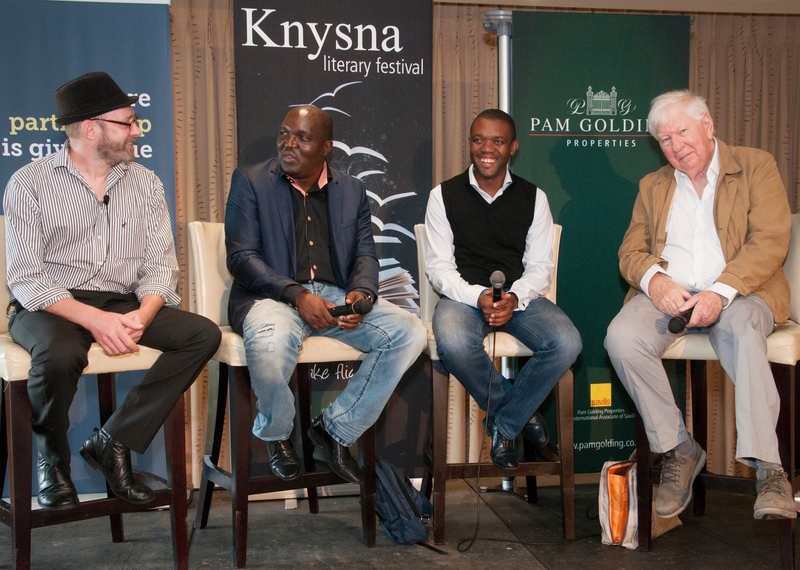 Knysna is a scenic retirement and tourist town on the south coast of South Africa which hosts many annual events, one of which is the Knysna Literary Festival. 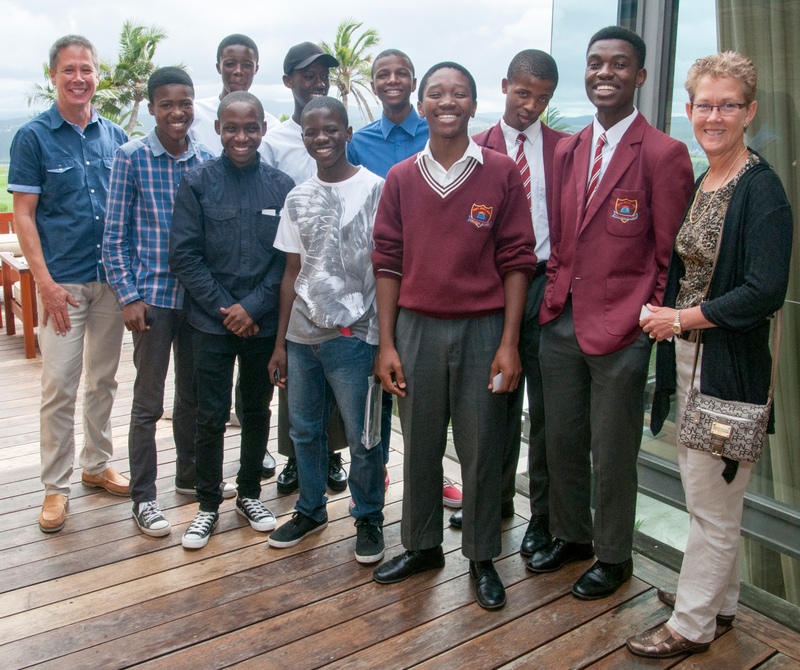 On Friday we took 9 grade 10-12 boys to the Literary Festival event “Fate of The Nation”, in which 4 South African authors and journalists explored the major issues impacting the country. Political, social, and economic factors were debated over a 90 minute period, culminating in questions from the 200 member audience. Thank you to our friend, Ken, who volunteered his time to help with transportation. The media were intrigued by our group of 9 boys from 3 local high schools and immediately requested photographs and interviews. As the only youth members of the audience, and the only blacks, the boys grabbed the attention of the journalists. 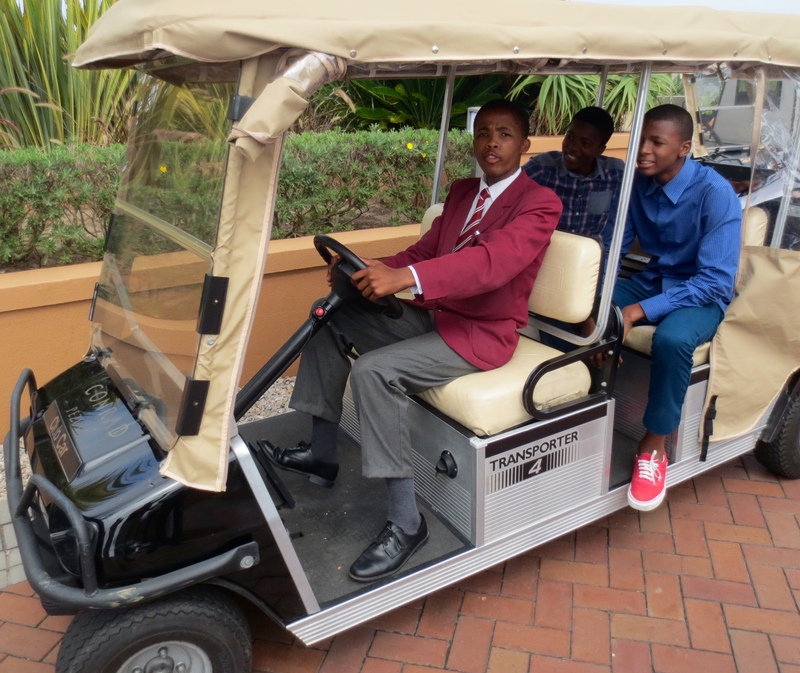 “Boys Being Boys” outside the 5-star Pezula Hotel, site of the Knysna Literary Festival. We selected the 9 boys based on their academic focus and potential. One of the boys, Onke, has the highest grade 12 marks at his school. Thank you for your donations which sponsored the boys’ tickets (R100 each -$9.00 CDN). 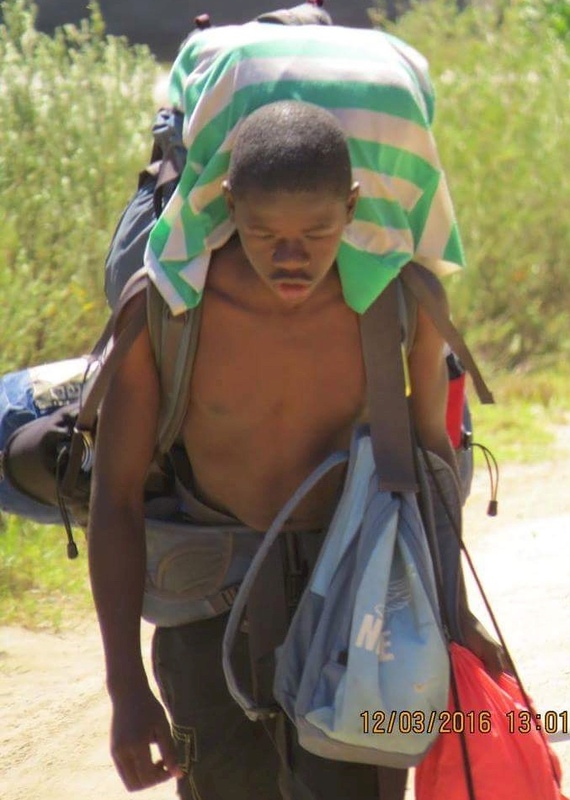 Ktokozo survived the 400km, 20 day Oakhill Odyssey which is a mandatory experience for all grade 10 students at the private school he attends. 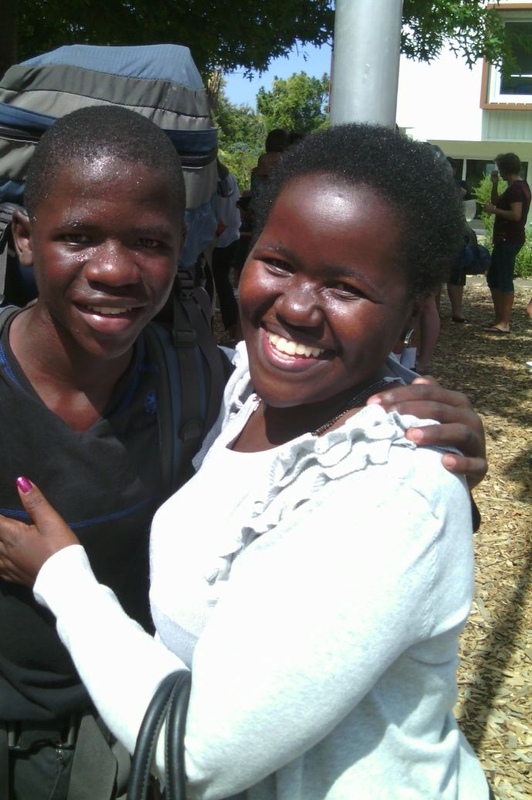 Ntokozo’s mom was waiting at his school when he and his group returned on Thursday morning. 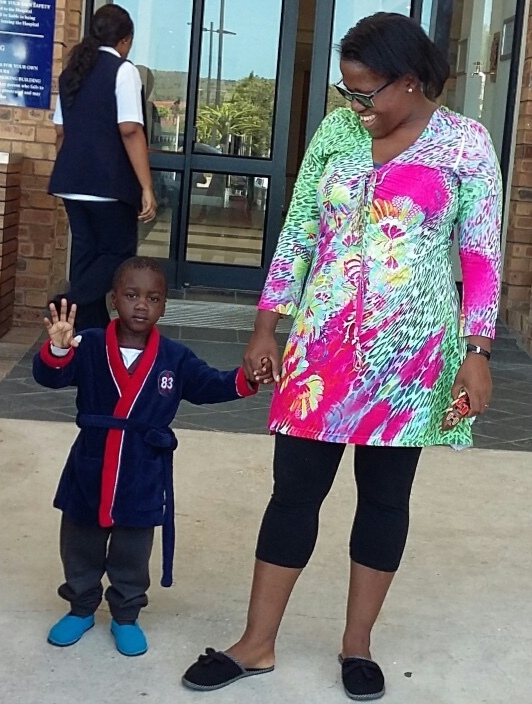 Ntokozo and his mom are very close. African boys LOVE their mothers. The Hands & Heart construction-skills program helps fill a huge need for practical training to enhance the employability of youth. Vogen is 17 years old and a terrific kid. He was unlikely to complete high school, so stopped attending grade 10 in January once accepted into Hands and Heart. Vogen loves the program and now knows he is “good with his hands”. Your donations sponsor Vogen’s tuition of R100 ($9.00 CDN) per month and provide toiletries and basic clothing. Like many, his home situation is challenging. 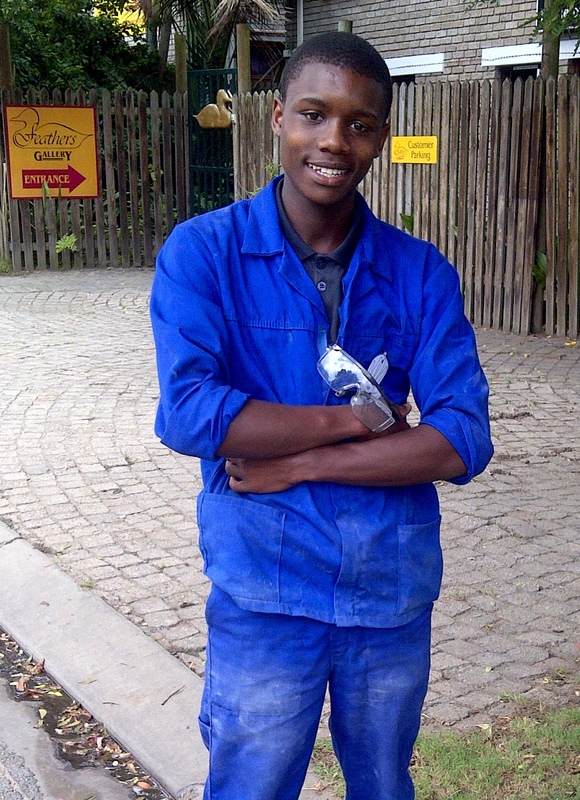 Robin is thriving at TSiBA college and loving the practical program in business administration. 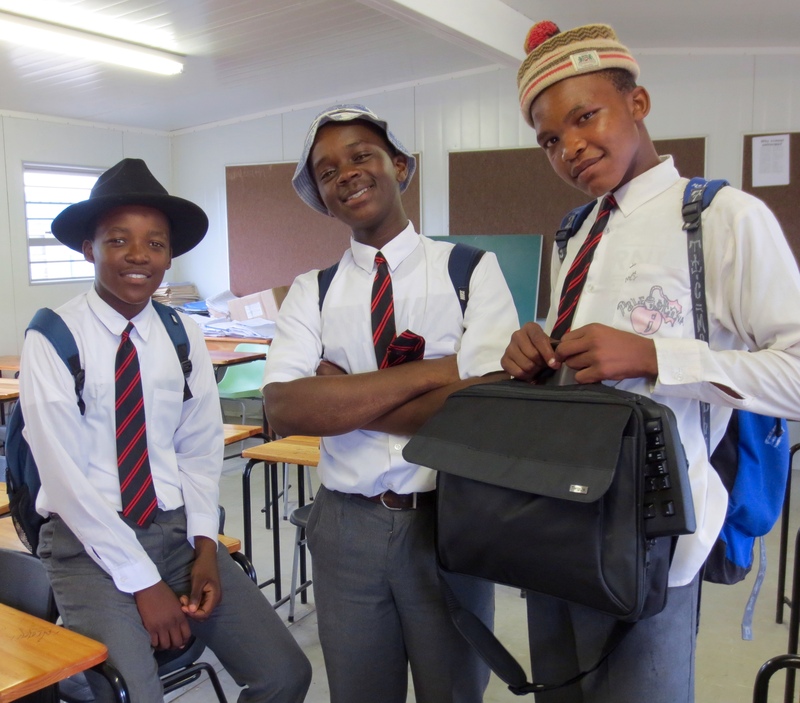 He was 1 of 3 students selected to attend an event at the literary festival in recognition of the leadership skills he demonstrated during his first term at TSiBA. 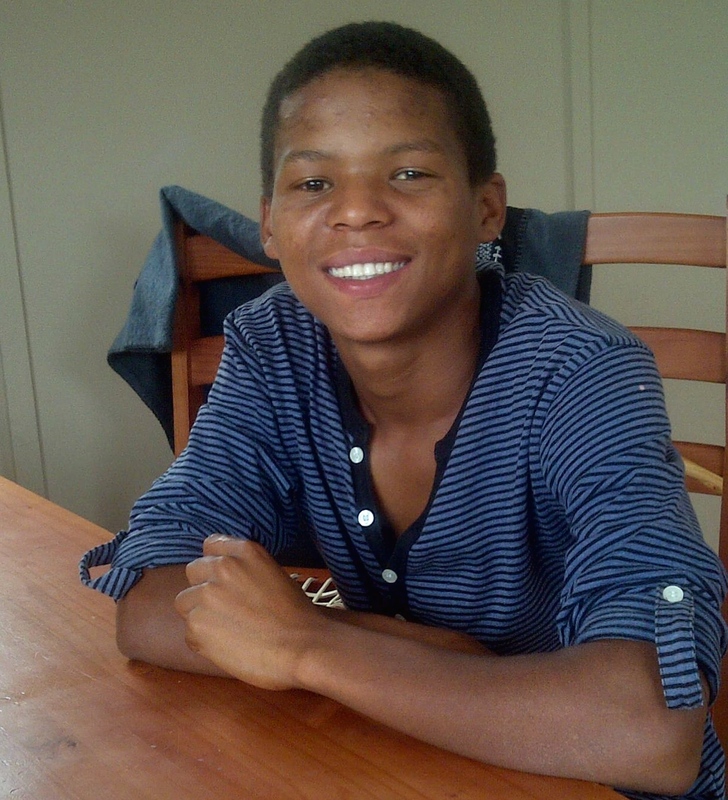 Thank you for enabling the sponsorship of Robin’s R180 per month tuition & residence fees. Stephen is one of the 15 children Ella & Penny care for. He recently became quite ill and the doctors suspected meningitis. Despite a negative spinal tap, he was treated for 5 days with intravenous antibiotics and is now home and doing better. We wish him well. This entry was posted in Education, Knysna, Mentorship by Janet & Jim. Bookmark the permalink.